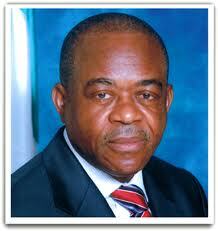 Abia’s T.A Orji as best governor? The page called for votes on who people think is the best governor in the South East?” As usual, there were several hundreds of comments with people making case for their preferred governor. I glanced through the comments and the names of Peter Obi (Anambra), Owelle Rochas (Imo) and Iheanacho Chime (Enugu). Of course Gov. Theodore Ahamefule Orji got more mention as “worst governor” I rarely post comment on posts on the page but sometimes read up the ones posted by others when I wanna get a sense of humour or ‘online idiosyncacies’. And on a lighter note, one posted “B*R*E*A*K*I*N*G! EFCC set to probe Ndi Igbo forum over allegation of bribe taking frm Abia state Gov. I was only able to read through 102 out of 726 comments (at press time) and no one seemed to have agreed with Ndi Igbo admin. I come from Ebonyi State. My governor’s performance is widely believed to be terribly poor but when compared with Gov. T.A Orji , I think the word “better” to be used repeatedly for Governor Elechi. In southern part of Nigeria, many believe that comparing any governor with T.A. Orji in terms of performance in office would make him a saint. Several months ago on same Ndi Igbo page, photos of “ongoing/completed roads” in Abia were splashed profusely with superlative descriptions. Most comments that followed were everything but pleasant. The question is, why would ‘Ndi Igbo Admin’ adjudge Governor Orji as the best in South East? Click here to view Ndi Igbo facebook page. I didnt vote and i seldom comment on the page. But concerning this matter,its quite disappointing that the Admin of NDI IGBO page will make a mess like this one.esp as i previously thought that the page was for good. Infact,i consider them plain foolish,bcos it is glaring that T:A isnt doing well. I have been to Abia often in the recent past,and even the votes prove that. Yet again i think aloud, must corruption seep into everything we do? Does it mean we cnt break outta it?